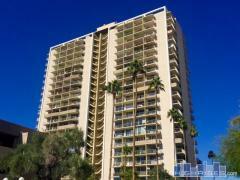 Crystal Point is a 20-story high-rise built in 1989 in Phoenix, AZ. Crystal Point offers a number of amenities to its residents including concierge service on weekdays, a fitness center, heated community pool, doorman, and more. Have any comments or questions about Crystal Point? Ask your question and/or share your thoughts about this Building.